Have a household timer available to time your treatment, as it is essential to time accurately to ensure safe and effective treatment. 1 Attach an applicator bud to the white plastic cap, by firmly pushing it into the larger opening on the end as shown. 2 Place the can upright on a covered table or other sturdy surface. Do not hold the can near your face, over parts of your body or clothing. Place the cap on the can as shown, so that the applicator bud sits in the clear plastic shield on the side of the can. 3 Keeping the can upright and holding as shown, press the cap firmly down for 5 seconds. Do not hold the plastic shield. 4 Remove the cap from the can, with the applicator bud still attached. Do not let any liquid come into contact with your skin and do not hold can near your eyes. 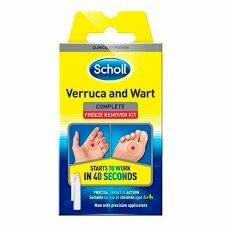 You must wait for 15 seconds, holding the bud pointing downwards, before applying to the verruca or wart. This allows the liquid to collect at the bottom of the applicator bud, and reach the freezing temperature required for effective treatment. 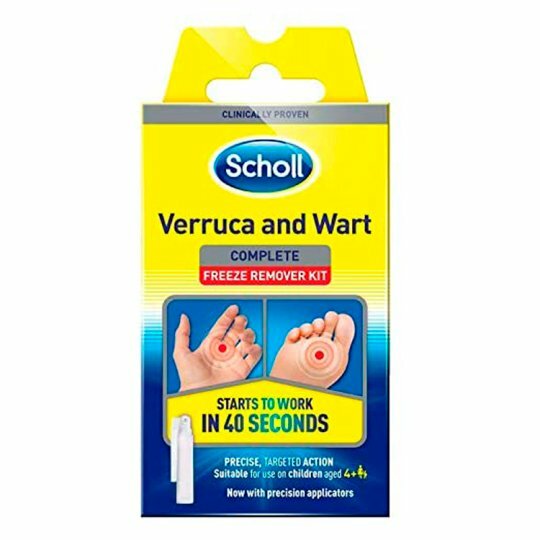 5 Ensure the verruca or wart to be treated is facing upwards. Keeping the applicator bud pointing straight down, lightly place the tip of the bud on the centre of the verruca or wart for a minimum of 30 seconds, but do not apply for longer than 40 seconds. Do not dab. 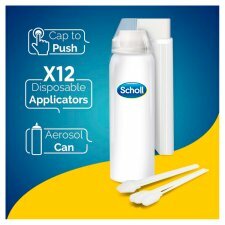 Discard the foam applicator after a single use.